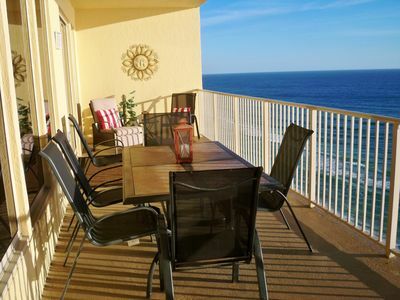 Sunset Place is a beautiful three story beach home featuring four bedrooms, three bath located directly across the street from the beach on the exclusive West End of Panama City Beach. 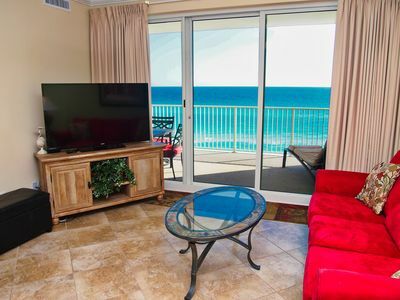 Enjoy the spectacular gulf views and sunsets from the third floor. 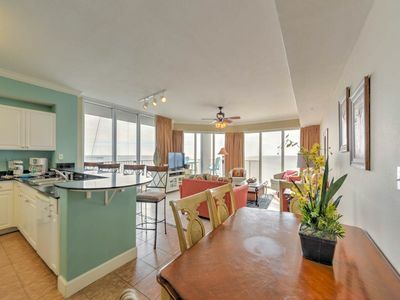 This home is located directly across the street from the beach on the exclusive West End of Panama City Beach. 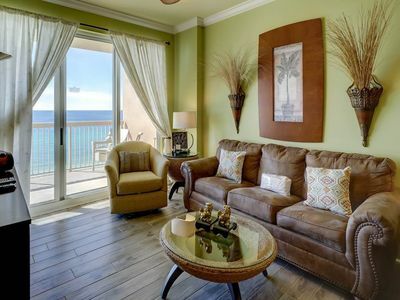 Enjoy the gulf views and sunsets from the first, second and third floors and most of the rooms in the home. 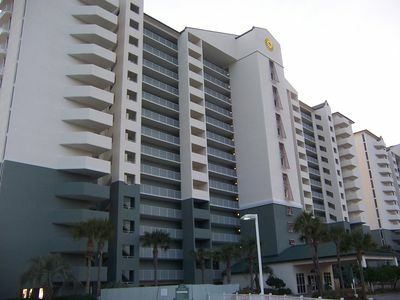 Sunset Place is adjacent to Sunnyside Resort and across the street from dedicated beach access # 93. 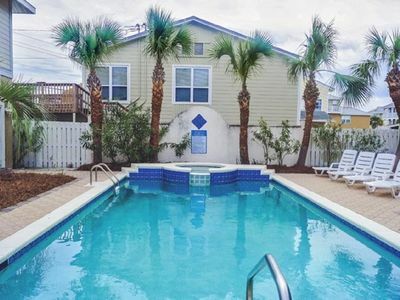 Sunset Place shares a large pool and spa with one other home (owned and operated by our company) although there are four homes located around it. Two of the homes do not use the pool because they are not occupied most of the time. 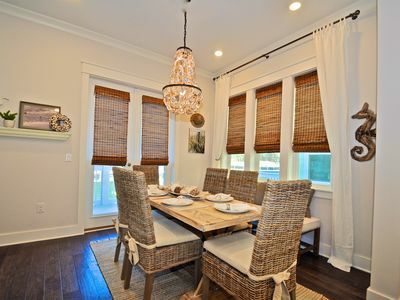 The Sunset Place floor plan is excellent for families. 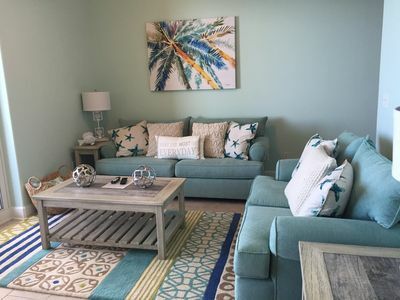 The first floor offers two bedrooms and a full bath as well as a bar area with a refrigerator, microwave and storage area located in the hallway leading to the pool area. The second floor features the dining room, half bath, and spacious living room area which offer a large balcony overlooking the courtyard and pool area. 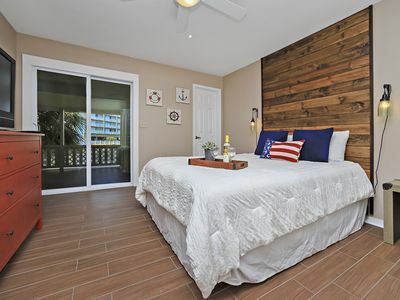 The third floor features a guest bedroom, the master bedroom with a large bathroom and whirlpool tub and the most incredible views of the Gulf of Mexico from the third floor balcony. Sunset Place accommodates up to 10 occupants and is completely furnished and comes with many extras such as free WIFI, LED TVs, DVD players, microwave oven, corian countertops, ceiling fans, tile and newly installed carpet, washer/dryer, beautiful landscaping and a spectacular large heated pool and spa (the spa and pool temperature is set on 82 and cannot be controlled separately), etc. There is an additional fee of $175 for the heated pool/spa feature. 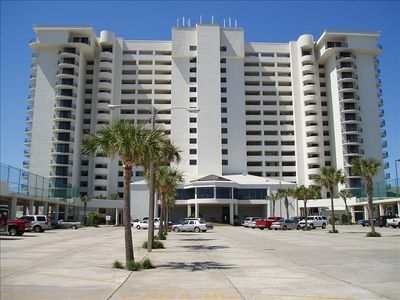 Sunset Place is situated 100 feet to the beach and is perfect for weddings, receptions and special events. Prior approval and a surcharge apply for all special events. We have excellent relationships with preferred wedding planners and caterers. All of our homes are family friendly. We cater to families and parties 25 years of age and older. In some circumstances, we may rent to parties under 25 but it is determined on a case by case basis. The large pool is shared by four house but is rarely occupied. Tidewater 0517 - Don’t miss your spring vacation. Book now! Sunrise 1002 - Spring availability – won’t last long! 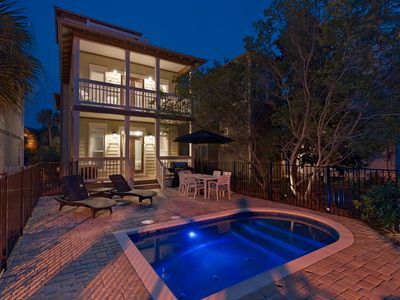 Green Wave, 30A Cottages, Reduced Spring Rates, Spacious Courtyard w/ Private Pool, 4 Bikes! 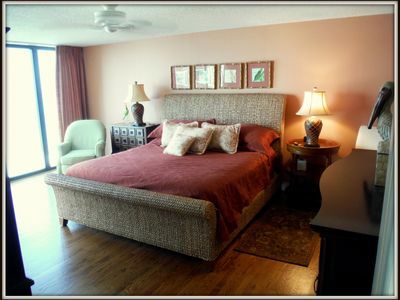 Relax and Enjoy the Free Beach Service in this Ocean Reef 2 Bedroom Condo! UNIT110! 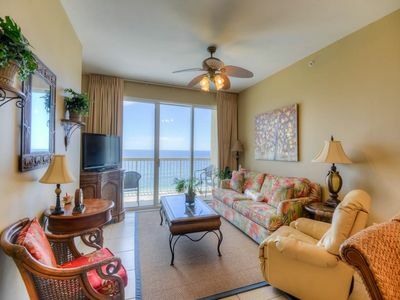 OPEN NOW 4/14-21 NOW ONLY $936 TOTAL! BOOK ONLINE AND SAVE! NOW BOOKING SPRING & SUMMER WEEKS!! CHECK US OUT! !